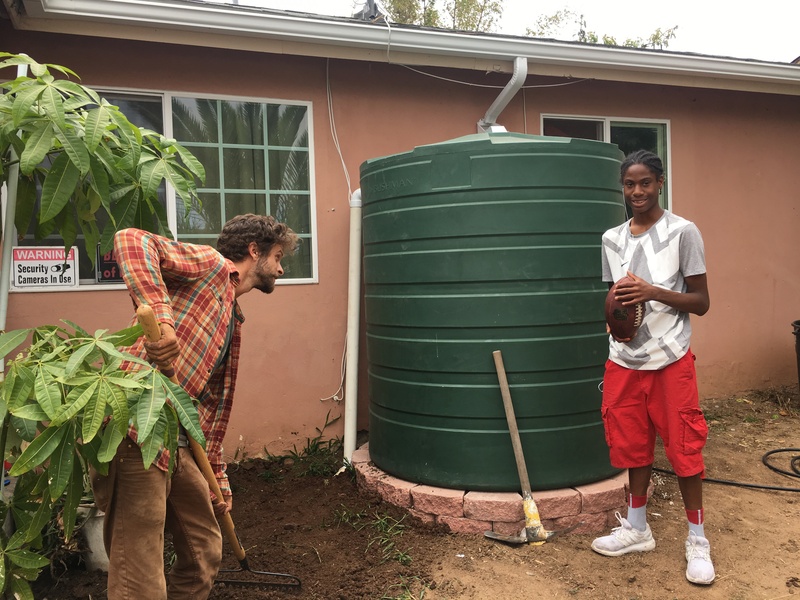 This pilot project provides water conservation ‘home makeovers’ to 50 low income homes in Encanto, a disadvantaged community in San Diego County. The project includes retrofits and personalized landscaping, as well as outreach including quarterly reports on water savings metrics and school programming. Effective water conservation, watershed, and stormwater management outreach and infrastructure options are lacking in this urban neighborhood where potable water demands are high, food security is an issue, and 40% of the community speaks Spanish at home. Due to the inaffordability of most rebates and infrastructure options, a project was designed to provide water conservation upgrades to homes via door to door outreach and close coordination with homeowners and local students. The City of San Diego used/is using a homeowner engagement pilot project to address this/these challenge(s). Home makeover retrofits include: A gray water system, low-flow toilet retrofit, low-flow showerhead retrofit, and sink aerator. Each home is also given a rain barrel and a palette of drought tolerant landscaping and low-water fruit tree options. Because of an emphasis on homeowner engagement, many participants choose large 400 or 800 - gallon rain barrels for their properties to capture water for washing cars and for onsite irrigation. Participants also receive quarterly reports that estimate the amount of water and money (estimated by water bill savings) conserved as well as the carbon sequestration impact of the upgrades. Five local schools are hosting classroom lessons and field trips pertaining to water conservation, encouraging students to serve as “water ambassadors” to their parents and homeowners. Local landscape architects also donated an outdoor ‘climate action center’ at Millennial Tech Middle School that serves as a workshop space and a model for drought tolerant landscaping. The project is led by Groundwork San Diego. 37 of the 50 homes have received their ‘conservation home makeover’ as of March 2018. Of the 37 home makeovers already complete, the project is projected to capture and/or conserve 713,915.27 gallons of water in its first quarter. 37 properties have received fruit trees that have together conserved 38, 970 pounds of carbon dioxide in their first quarter. Approximately 1,886 pounds of CO2 have been conserved due to gallons of hot water being conserved. This door-to-door campaign engages homeowners who are not likely to take advantage of rebates directed at water conservation. 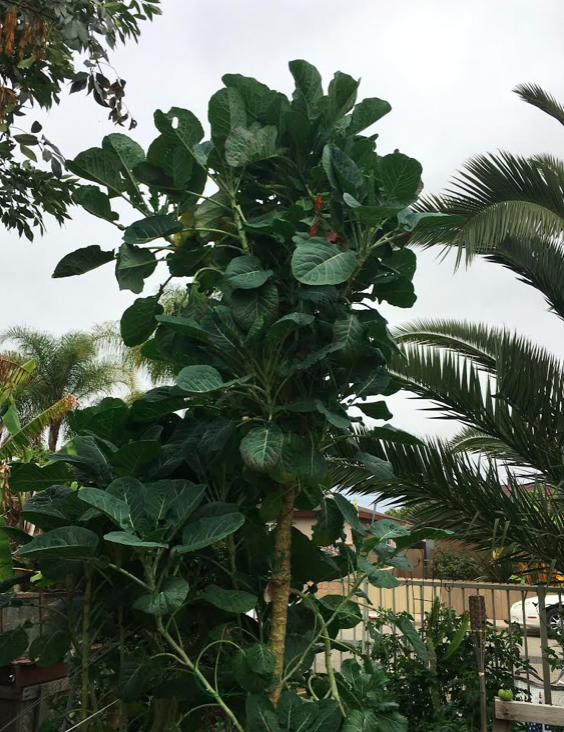 One enthusiastic homeowner is cultivating the collard green plant he was given for a world record. It is currently 12 feet tall, the record was set in 2007 by a 13 foot plant. Disadvantaged communities with water supply, water quality, and food security issues.